Seventy-four percent of University students reported they were neutral about homosexuality or were not homophobic in 2004. The University has not conducted an LGBTQ-specific campus climate survey since. However, Campus Pride, a nonprofit organization aimed at helping colleges create a better atmosphere for LGBTQ students, recently conducted its own study. The University was not assessed and therefore was not listed among the 25 most LGBTQ-friendly campuses. Still, Jeremy Skiba, junior in LAS, said he’s had a positive experience at the University. The survey rated 196 schools, from community colleges to research universities, and included 10 schools from the Big Ten conference; Northwestern University, the University of Nebraska and the University of Michigan being the only schools beside the University not included. 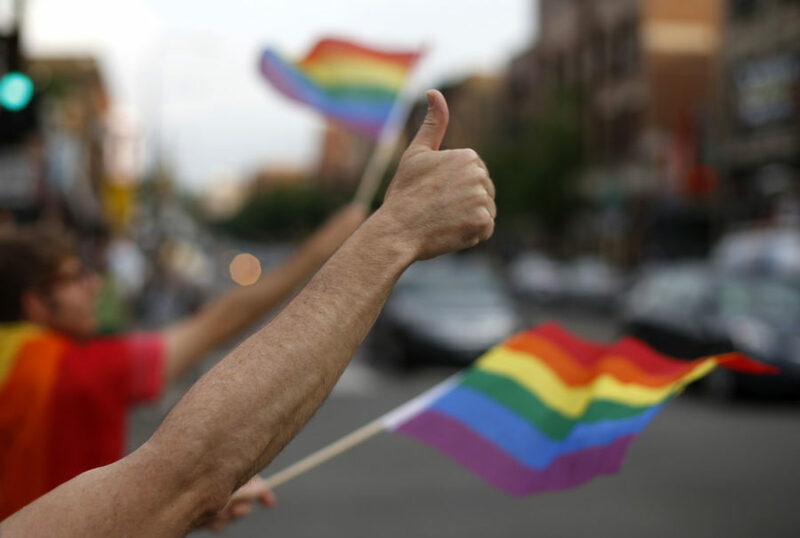 Indiana University, University of Maryland, University of Minnesota, Pennsylvania State University, Ohio State University and Rutgers University also appeared on the list of top 25 LGBTQ-friendly schools, which was organized alphabetically. Schools interested in participating were required to use Campus Pride’s self-reporting tool to have their school ranked and included in the index. Leslie Morrow, University LGBTQ Resource Center director, said there is good reason the University did not participate in Campus Pride’s index. The current tool focuses primarily on what services and amenities universities offer to LGBTQ students, Morrow said. Skiba said he lived in Allen Hall his freshman year and said it was an “obviously accepting dorm” that introduced him to good friends in the community. Allen Hall was the first University residence hall to implement gender- neutral dorms at the beginning of the fall 2015 semester. Shane Windmeyer, the cofounder and executive director of Campus Pride, said Campus Pride’s instrument and campus rating system has been in place since 2007. He said it is a question-answer of about 60 questions related strictly to the policies, programs and practices at a university. “It’s not about how students feel because that’s very subjective,” he said. Rather, Windmeyer said the tool asks questions about benchmarks nationally seen as important and popular. Morrow said her research into Campus Pride’s index and rating instrument prompted her, along with colleagues around the country, to meet with Windmeyer. “I wanted something that was more intentional and more meaningful,” Morrow said. Windmeyer listened to the requests of Morrow and her colleagues, and Morrow said future Campus Pride surveys will include their suggestions. Because of the changes that will be implemented, Morrow said the LGBTQ Resource Center will certainly consider participating next year. Windmeyer said campuses that participate in the survey should enlist the help of a team of knowledgeable students, faculty and staff. Once a campus submits the survey, he said Campus Pride fact checks the report and distributes a private report to each campus. The private report provides a percentage score and a rating out of five stars. Campuses are then able to choose if they want to make the results public. The last University LGBTQ-specific campus climate survey — conducted by Rankin and Associates — was distributed during the 2004 spring semester; the results were published in May 2006. According to the executive summary of the report, surveys were distributed to 1,230 employees and 2,538 students. The summary reported 491 lesbian, gay or bisexual people, 2,884 heterosexual people and 85 people who were uncertain about their sexuality responded to the survey. The University most recently conducted a general campus climate survey in 2012. In the survey, straight students rated the overall campus climate a mean score of 3.8. Bisexual students rated it a mean score of 3.7, and gay or lesbian students rated it a mean of 3.5. Morrow said she would like another LGBTQ-specific campus climate survey to be conducted within the next few years. Morrow said she knows many LGBTQ students at the University who are thriving and many who are not. She said despite a lack of official data, keeping in contact with students is a good “reality check” to make sure the resource center provides the support and services students need. Elliot Che, president and co-founder of the Campus Union for Trans, Equality and Support and senior in LAS, said because of CUTES affiliation with the resource center, he is at the center all the time, either leading meetings or hanging out with friends. The resource center is affiliated with six other campus groups that advocate for LGBTQ centers. Skiba said he is appreciative of the LGBTQ Resource Center and the services it provides, but he would like to see more LGBTQ speakers and events, especially for the transgender community. Che said he wishes more professors would attend ally training seminars, specifically dealing with names and preferred pronouns for transgender students. Windmeyer said prospective students and their parents definitely consider climate surveys and ratings such as Campus Pride’s when deciding on a school. “Parents want to send their students to a campus that takes responsibility for its LGBTQ students,” he said. Windmeyer noted that recruiting students is competitive, and campuses need to consider LGBTQ students when marketing their programs and services.